Top Ten Tuesday is hosted by The Broke and the Bookish and this week’s post is our TBR summer list. Let’s start off with honesty. I don’t think that I’m going to read ten books this summer. The strange thing after starting grad school is in some ways I read less. Don’t get me wrong, I’m reading all the time as an operational hazard of the profession, but that’s mostly journal articles lately. At least, I read less novels, and reading for fun is this rare unicorn that seems to stop in glades just out of reach only to taunt me. But, I’m going to post this list anyways. I’m not sure which book, but I’ve got to read something by the new Poet Laureate before Notes from the Assemblage comes out this September. Any suggestions? This past year, I fell as hard for Wharton as Henry James did when I read The Touchstone. As a fool, I didn’t read Ethan Frome when it was assigned in high school. I didn’t read a lot of what was assigned in high school. Or my undergrad… I will remedy that this summer! 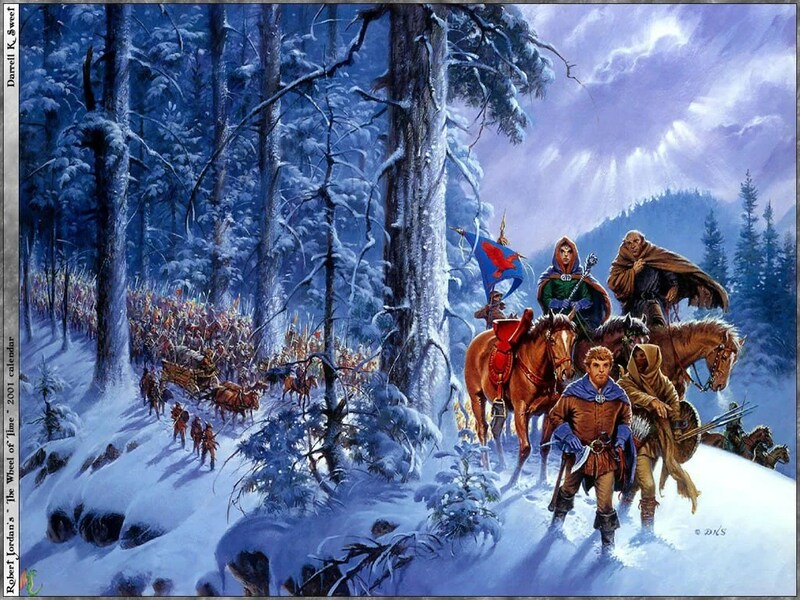 Confession time: I’m one of those fans of The Wheel of Time series who never finished it. I’ve started rereading book nine because I’m not sure where I stopped nearly a decade ago. I can’t remember a lot of the side characters’ names, but there’s something very comforting in the familiar prose style. Agh! I’m so close to finishing. Part of why it’s so slow-going is that every so often, I turn to my wife and say, “How did they accomplish _____ in the movie?” This book follows the meandering mind of the narrator so well in ways that I just don’t see how the movie can do the same. She keeps telling me that I’ll be surprised. A: Poetry is the art of compassion. Poets, who take pleasure in ordering language, aspire to know suffering and then, through knowledge of suffering, gain enlightenment. Close readings of Fight Club, No Country for Old Men, The Road, and MacGyver? Sign me up. If you’re interested in an academic take on Cormac McCarthy’s works, then Raymond Malewitz is the author for you. My own thinking on Oryx and Crake and Primo Levi’s The Periodic Table has been largely influenced by him. Breton’s book keeps catching my eye on the shelf. Maybe it’s the bright red cover or the way “Sur-real-ism” is broken up on the spine, or maybe I just want to understand Appia’s paintings and The Prisoner better, but I think I need to read this soon. This was a radio lecture by the philosopher, Charles Taylor. I haven’t read anything of his since studying his work on practices back when I was a philosophy major in undergrad. I like his mixture of communitarian thought and virtue ethics, but considering how large this list has become, maybe I’ll listen to it instead. Holy fritz! Flannery O’Connor’s reading glasses! His second night in Talkingham, Hazel Motes walked along down town close to the store fronts but not looking in them. The black sky was underpinned with long silver streaks that looked like scaffolding and depth on depth behind it were thousands of stars that seemed to be moving very slowly as if they were about some vast construction work that involved the whole order of the universe and would take all of time to complete. No one was paying attention to the sky. You will LOVE Savannah (I hope) my hometown. I drive past Flannery O’Connor’s childhood home quite a bit, which sits in the beautiful Lafayette Square neighborhood. O’Connor is held in very high esteem here. I can only read some of her short stories on a very sunny morning…outside…with the birds singing. Otherwise, she can chill you to the bone! I’m sure I will. I’m looking forward to attending the birthday celebration next year in the Lafayette Square. That is so true about reading less since starting grad school! While doing my MFA I have read almost no fiction and have perfected the art of skim reading and filleting useful quotes……. I know what you mean. That seems to be the main art we’re trained in! We are now masters of index hunting.